Jon (Daniel Link) and his two young daughters move onto their grandfather's secluded farm after the breakup of their parents. Whilst they are living there they experience loud knocks, creaks and general phenomenon you would attribute to paranormal activity. Jon dismisses his daughters claims that the house is haunted and puts it down to an owl (!) making all the loud noises. Apart from dealing with the unexplainable noises, Jon also has the added stress of finding a job so him and his daughters can move out from his fathers home. His luck in finding a new job is much like his dating life, a complete failure. When Jon's son returns home early from his studies, stress levels reach a new level. The strange events intensify around the home and with their grandfather's warning to never enter the barn the girls curiousity gets the better of them. The noises, the darkness and more appear to be stronger in the barn. Jon questions his father over what is in the barn, with his father revealing the real reason why they are so rich and why Jon must continue a pact that was made generations ago. With this new information Jon must decide what is best for his family before a deadly decision is made for him. Relying on the tried and tested format of little is more this film has the right amount of chills with a touch of humour to send your mind into emotional overload. The family dynamic throughout is nailed perfectly with the daughters Becca (Ella Schaefer) and Eliza (Avery Kristen Pohl) being the stars of the film. Writer/director F.C. Rabbath has made a supernatural horror that he should be proud of. Despite the film being on the lower end of the budgetary scale it has shots you would expect to see in higher production films, most notably the aerial shots and a clever use of filters. 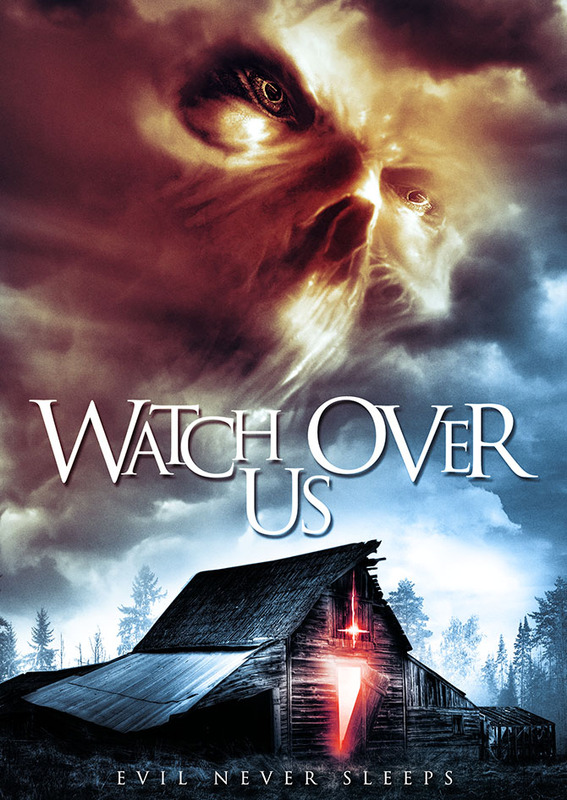 WATCH OVER US is remarkably short but manages to cover all the major plot points and doesn't leave you with unanswered questions.